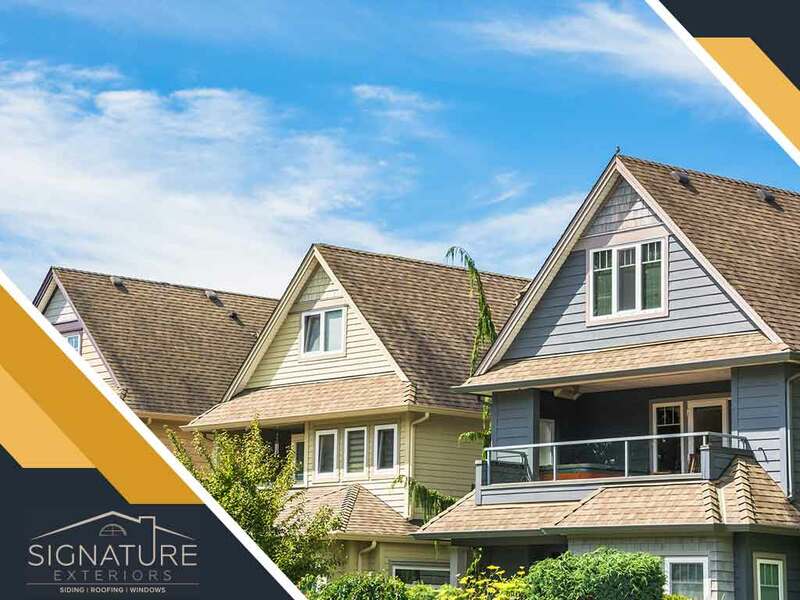 If your roofing replacement involves rebuilding the roof or switching to a different roofing material, knowing a thing or two about roof pitch can help you get better results from your project. Signature Exteriors gives you a quick primer on roof pitch. Roof pitch measures the roof span against its rise, expressed as a fraction or a ratio, in fractions of 12. The span (or run) is the horizontal measurement, while the rise is the vertical. When expressed in degrees, a 12/12 pitch will correspond to a 45-degree angle. Using this method of measurement makes it easier to measure the proportions of a roof, especially when it involves resizing the roof or changing the roof pitch. While other terms are used to refer to the roof’s angle—incline and slope among them—pitch is the most common term used in the industry. Knowing the roof pitch can help you make informed decisions about the kind of materials that can be used on the new roof. It can be especially useful when you’re costing your project and estimating the number of required materials. Basically, the lower the ratio is, the closer it is to a flat roof and will, therefore, require less roofing material. For roofing contractors like us, the roof pitch decides the kind of roofing material compatible with your roof. On one extreme, a “flat” roof works with membrane or built-up roofing systems. On the other, a steep-pitched roof is best with shingles and other roofing materials with similar installation methods. As a bonus, a steep-pitched roof is best for showcasing your choice of roofing material, as it’s clearly visible from the curb. When rebuilding or reshaping your roof, knowing how roof pitch works can help you plan the kind of roof that you want. After all, your roof can be remade into virtually any shape. For instance, you can choose to have a roof with multiple pitches, such as a mansard roof. By knowing the costs and effort involved, you can make a decision whether a roofing style will work even before you start asking roofing contractors for quotes. To learn more about roof pitch or our other services as your local roofers, call Signature Exteriors today at (866) 244-8029. You can also fill out our contact form to schedule a free quote. We serve many areas in and near Norwalk, CT and Yonkers, NY.